Allstar Orthodontics > About Allstar > Blog > Adult Orthodontics: What you need to know. 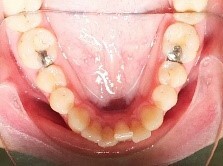 Recent years have seen a dramatic increase in the demand for orthodontic treatment amongst adults. In general adults who seek treatment make highly motivated patients as they have a genuine interest in improving the appearance and longevity of their dentition. Factors such as function, facial balance and appearance are as relevant to them as they are for younger patients. The aim of treatment may be to either correct a malocclusion that has existed since childhood or to correct one that has developed consequent to gradual changes such as crowding or spacing. Orthodontic therapy has become more socially acceptable for adults thanks largely to advances in aesthetic appliances such as Invisalign and clear braces. 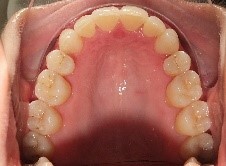 Some malocclusions that were previously thought to be untreatable in adults can now be readily treated with Invisalign. Physiologic differences between adolescent and adult patients tend to influence the orthodontic treatment approach in these two groups. Some conventional adolescent treatment mechanics cannot be simply and routinely used with adults. For example some adolescent corrections will be achieved by differential upper and lower jaw growth while a different approach will be required with non-growing adults. Most adults in today’s society tend to lead very busy lives. They often have a tight schedule, balancing work commitments with their family lives. Fortunately advances in the design of Invisalign and clear braces have resulted in the requirement for less frequent appointments. The development of scanners now allow the orthodontist to create a 3D image of the teeth and the Invisalign can be designed and then manufactured from the 3D image. 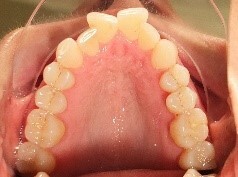 The scanners negates the need for messy impressions and moulds and speeds up the process of starting treatment. Adult orthodontics is a complex field of specialty that should be performed by those who have a clear understanding of biomechanics. 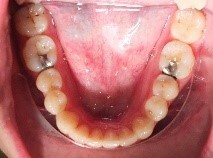 Adult orthodontic treatment differs from adolescent treatment both from a biologic and biomechanical perspective. Achieving an optimal outcome both from the patient’s and clinician’s perspectives involves carefully planning and excellent communication.